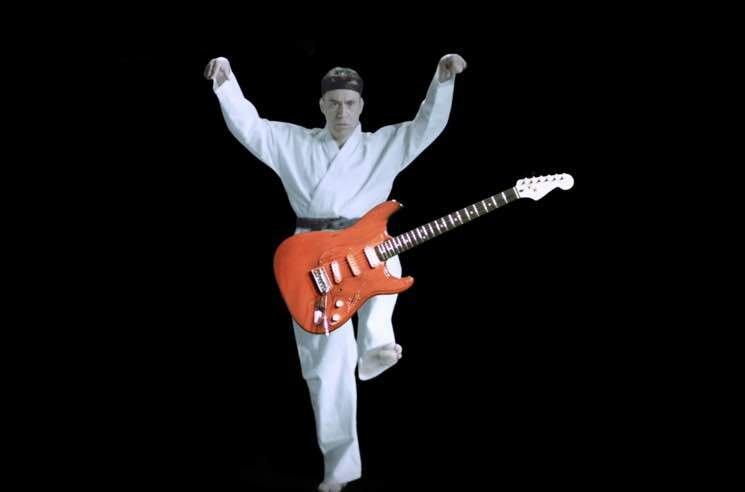 Ty Segall released a self-titled LP last year, spawning the single "Break a Guitar," and now the ode to musical violence has been given a trippy, guest-heavy video by director Matt Yoka. It opens with Fred Armisen channelling his inner martial artist to accomplish exactly what the song title instructs. From there, it explodes into a swirling kaleidoscope of Segall and his bandmates performing while six-strings explode all around them. Keen observers should be able to pick out a screaming Henry Rollins and an especially destructive Jack Black amidst the chaos. Check out the star-studded clip for "Break a Guitar" below.